Kings just fired their coach. He exceeded expectations and is out. ....but we are keeping this team of Luke and Rob in place?? 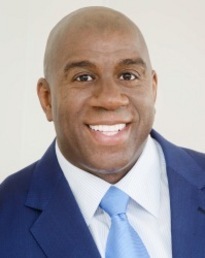 If the rumors are true that Magic wanted to clean house and Jeanie wouldn’t let him and that is why he quit, we are in more trouble than we thought!!!! The Kings firing their coach reminds of when the Pels fired Monty Williams. He was doing really good too. I just don't get it. I can't really disagree with Magic there, lol. Ty Lue wasn't the answer if the rumor was true but I do like Monty Williams who was supposedly the other rumor. I personanly believe Kobe was behind the Pelinka hiring. He may have said consider him but Jeannie took it t heart because Kobe is a former Lakers' great. She has something for former Lakers. Lakers allegedly going after a top trainer from the Raptors. 2 updates. First Lakers finally fire their training staff. An action I've been screaming for from the rooftops for years. And Jeannie wants Rambis to be team president now? Wtf? If that happens I'm done with this team. Done! Bad enough they hired him as "senior basketball advisor" last year. The guy isn't good enough (at anything) to serve donuts at the local coffee shop imo. There they go, grabbing onto ex-Lakers again. Wtf is it with this team? Are you shy? Can't speak to strangers? Wtf? 2 updates. First Lakers finally fire their training staff. An action I've been screaming for from the rooftops for years. https://sports.yahoo.com/los-angeles-lakers-fire-head-trainer-marco-nu nez-after-season-full-of-injuries-lebron-james-014756640.html And Jeannie wants Rambis to be team president now? Wtf? If that happens I'm done with this team. Done! Bad enough they hired him as "senior basketball advisor" last year. The guy isn't good enough (at anything) to serve donuts at the local coffee shop imo. There they go, grabbing onto ex-Lakers again. Wtf is it with this team? Are you shy? Can't speak to strangers? Wtf? I sure hope so. Regardless of what happens I'm a Laker for life. I'll just come in this forum to vent as always.....lol. It was reported a few times that Kobe recommended him to her. Just SMH on the dumbness of this. Now he elevates possibly and now (whether this is true or not.) They may keep him to see if he can get Kawhi, if not maybe he stays or goes. She needs to step and say something at this point. When they need to talk no one says anything, when they should shut up the team as whole run their mouths with non-sensical crap that makes the Lakers the laughing stock of the NBA now. We have reached New York Knicks country and it's not pretty. She definitely has a thing for former Lakers, with Rambis and Phil still lurking around like unexorcised ghost. Just confusing. It absolutely kills me that this thing with former Lakers just keeps going on. It's hurting this franchise because they want to keep looking at former Lakers for positions as if there aren't better qualified people. I didn't even know Rambis and his wife were working for the Lakers until recently. This is a nightmare because it's not even as if former Lakers have been great. Why can't they just do like James Worthy and Robert Horry and do telecasts and leave the big time basketball decisions to the big dogs. This is no different than corporate america. There are tons of people who have positions that are unqualified but because they are liked by the people that hire them, they get a pass. As for KB taking over the influence behind the scenes, using Rob as his mouthpiece. I've no idea about that. But again, if true, it's all on Jeannie for allowing it to happen. All it suggests is she doesan't trust her own judgement, has no idea what she's doing, and has to 'ask the experts' for their input. When you do that you will always get agendas. Anyways that stuff is all speculation. And pointless imo. The buck stops with Jeannie. If she can't figure this out, and do it the right way, she can still own the team, but needs to step down. I ended up believing that getting Magic for this position was never the right move. Such a position requires hard work and dedication. I at first figured it could ultimately be ok considering his prominence in the NBA, but that ended up being a non-factor and it showed that he was not qualified to do the job nor did he have the bandwidth. I don't mind the position if it means taking control of everything, analytics, training staff, Medical staff, coaches, scouting department etc etc but the way Magic was doing it, yeah it was a farce. That should all be the general manager. We never used to hear about this whole “President of basketball operations” nonsense. Rarely see it in football too. It’s a dumbass position. She didn't give him power to hire a GM, they were just thrown together, beginning to think there might be something to Lavar saying Magic was just a face. Either way, Jeanie needs to complete the house cleaning and let Rob walk too. That’s not what was said when it happened. All we heard 2 1/2 years ago was that Magic hired Pelinka. Now we get all this revisionist history by the media. Typical. Makes me remember what Stephen A. said a few years ago, what fans read and what gets out, is probably only 25% or less of the real truth, of what's really happening behind the scenes. Conspiracy theories everywhere! Just falling out of the sky. You guys forget Magic was campaigning for the job before Jeannie even fired her brother. Magic flat out said on First take, if the job becomes open, I do want it. Then shortly after, he got it. All reports were that HE hired Pelinka, pretty sure he stated so himself at the time, and that he had full control over the team. Now that he quit, or secretly got fired, we defend his trash moves and start to put the blame on everyone else? You guys gotta be kidding. 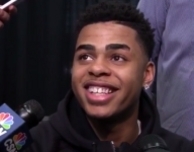 Magic decided to go after James, to trade Russell for cap space and let Randle walk for cap space. Even if Pelinka had more control that we thought, we all know he’d still be carrying out Magic’s vision/plan. Like SPQR stated, Magic didn’t openly campaign for the job, take the job that he wanted not needed, tell everyone he had control all the meanwhile just being some sort of puppet or figurehead. He could’ve kept working as an analyst for ABC, banking money off Starbucks and the Dodgers. I doubt he had any complaints with that life. He wanted to run the Lakers, and that’s what he got. He did a terrible job at it and got let go. Stop making excuses for him or placing the blame elsewhere. Well I guess what do you term general manager as? With scouting, and running the G league affiliate team and being involved in trade talks, player contracts etc etc I see the reason why they need someone else to handle the other areas. Does that person have to oversee the GM? I don't know, I don't know enough about the inner workings of NBA front offices. I see why some teams think it's necessary and why some don't. 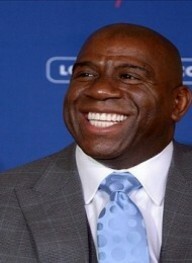 Just wish the Lakers could find somebody competent to actually get the franchise back to where it needs to be. 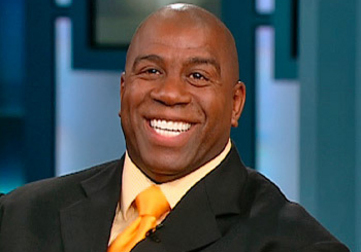 I’m hearing Magic quit his current position since his performance was below expectations. A lot of assuming. Think they're all to blame, from Jeanie on down. What do you mean hire? He’s already the de facto GM...lol. People on here are throwing Kobe’s name in there too, lmao. Like he’s even apart of the FO. This is on Magic. And I blame Jeannie cause she hired him. But this isn’t Luke, Pelinka or Kobe calling the shots. It’s Magic. Like I said, a lot of assuming. Don't know who was doing what. I'm sure Pelinka had something to do with this mess too. Doubt if Kobe had anything to do with it. But At this point, nothing would surprise me!!!! Dave/ mods please take it down if you feel it crosses the line.